Collectively, we raised more than $70,000 in Raise the Paddle donations alone! These donations, in combination with corporate sponsor support, prize drawing tickets, and reception and dinner registrations, netted immediate tuition assistance of more than $130,000. And donations are still coming in! 100% of the Share the Promise proceeds directly support tuition assistance, benefitting almost 200 of our current students. We were especially honored to hear from guest alumna speaker Dr. Prestina Smith '06, who shared how her CDS education and tuition assistance helped her excel and opened a path to her successful career in a scientist. In this alumni profile video, Prestina reflects on her experience at CDS, talks about her journey to becoming a scientist, and shares her hopes for the future. 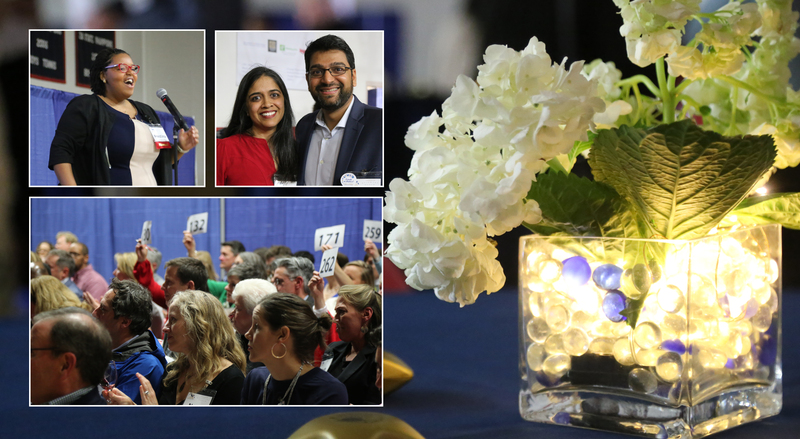 Please enjoy another inspiring video that premiered that night, view photos from the Promise Party, and if you weren't able to be there with us, we welcome your contributions to tuition assistance.